Although it took nearly a decade to reach production, the Lexus LFA proved to be everything we could ever hope for and so much more. Just like the NSX when it was new, the Lexus LFA is a technological marvel which changed our perception of the company that built it and is perhaps a bit too expensive. Lexus had a few sporty models in the past, and their parent company of Toyota even had some genuine sports cars, but not since the 1967 2000GT (often regarded as Japan&apos;s first supercar) had they made something that was such a departure from their regular lineup. Toyota began working on a halo supercar all the way back in 2000. The project was codenamed P280, and the first working prototype was completed in 2003. Significant changes were made toward the end of 2004 and the public got their first view at the Detroit Auto Show in 2005. 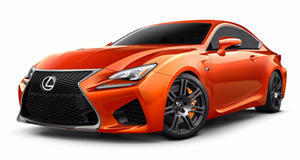 At this time, word got out that Lexus was planning a line of performance cars, the F line. The idea continued to evolve, a roadster concept was shown in 2008, again in Detroit. This second concept was actually a functional car, and the design drew inspiration from the 2000GT. In 2009 it was announced that the LFA had been green lit, and a pair of preproduction cars took place in a few endurance races that year. The final product sports a 4.8-liter V10 with forged aluminum pistons and titanium connecting rods and valves. It produces 553 horsepower in the standard car and 563hp with the limited edition Nurburgring Package. The V angle is 78 degrees, which Lexus says better balances the piston firing force. This also eliminates the need for a split-journal crankshaft and increases efficiency while lowering overall weight. Lexus put an emphasis on the engine&apos;s ability to rev quickly, and it can hit its 9,000rpm redline from idle in just 0.6 seconds. In fact, it revs so quickly that Lexus went with a digital tachometer, saying that an analog needle couldn&apos;t move fast enough to accurately track engine speeds. With launch control, the LFA can hit 60mph in 3.6 seconds and will achieve a top speed of 202mph. Lexus designed and manufactured their own carbon fiber-reinforced polymer (CFRP) for the center monocoque, while the front and rear subframes are made of aluminum. The machine used by Lexus to manufacture the CFRP is a laser monitored circular loom, and Lexus owns one of only two in the world. The use of this material saves 220lbs versus an all-aluminum construction. The body was originally planned to be aluminum, but this was scrapped in favor of carbon fiber, which is not only lighter, but also allowed for a more angular design, with which they were able to create more downforce. Base price for the LFA is $375,000, with the Nurburgring Package bumping the price up to $445,000. Prices like these would make the car plenty exclusive all on their own, but Lexus has also decided to build only 500 of them, and production will end in December of this year. Lexus also won&apos;t let just anybody buy one, and they select who they want to buy the car, instead of the other way around. Even with this, Lexus still makes buyers sign an agreement that they have first right of refusal if the buyer wants to sell the car within the first two years they own it. That might sound crazy, but plenty of carmakers have made crazier demands than that. In the spirit of what few Japanese supercars existed before the LFA, this too is actually very easy to drive. It has been noted that the LFA is actually surprisingly tame in city traffic, a driving condition which tends to be especially unkind to supercars. The LFA&apos;s driving dynamics have been universally praised, although quite a few in the automotive press have been critical of the high price. The idea that a Lexus could cost more than a Ferrari seems to be an insurmountable problem for some, no matter what Lexus or what Ferrari. Car and Driver pointed out that the LFA is still a bargain when compared to the Ferrari Enzo or Mercedes-Benz SLR McLaren, but not many other publications have taken this line of logic. The truth is, not many people who are lucky enough to get their own LFA are likely to care if anyone on Top Gear thinks they overpaid. The LFA has largely been loved, and has won quite a few awards. The engine specifically has won several awards on its own, and even the noise it makes has been praised by many. What will be interesting to see next year if whether any special editions beyond the planned 500 units will be produced. Lexus noted that there was much more interest in the car than they were able to accommodate, but the LFA would be far from the first supercar to extend production with further limited production editions. Just ask Pagani about it. The potential is there for some pretty amazing cars, so here&apos;s hoping. In short, because people are dumb. This is a track special but with creature comforts.